Did you know that the Amherst Youth Foundation and Clover Technologies work together to recycle cell phones and many printer cartridges? Both printer cartridges from home and from offices can be recycled, including some copier toner cartridges. Every cartridge and cell phone recycled raises money for community programs and also helps the environment by reducing landfill load. 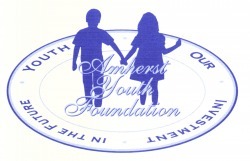 By partnering with Clover Technologies, the Amherst Youth Foundation receives a donation for every cartridge or cell phone that is returned for recycling. This is a cost free program. Clover Technologies supplies postage paid envelopes to return the used cartridges and phones. The Foundation receives all of the proceeds to help continue our work in the community. Any make or model cell phone can be recycled! Not all cartridges are eligible for recycling but please call the Amherst Youth Foundation at 716-633-6773 to arrange either to drop off phones and/or cartridges or to have us pick them up. We also provide mailer bags for you to keep on hand for you to mail cartridges or cell phones at no charge to you or to the Foundation. Just let us know if you'd like some mailer bags. Thanks for helping us with our community programs – and for keeping the world a greener place by recycling!